Stop running in and out of the house for ingredients and supplies and enjoy the convenience of an outdoor refrigerator. This stainless steel unit by Saber has 4.1 cubic feet of storage space. The reversible door allows you to place it exactly where you would like and it comes with front venting for under the counter installation. 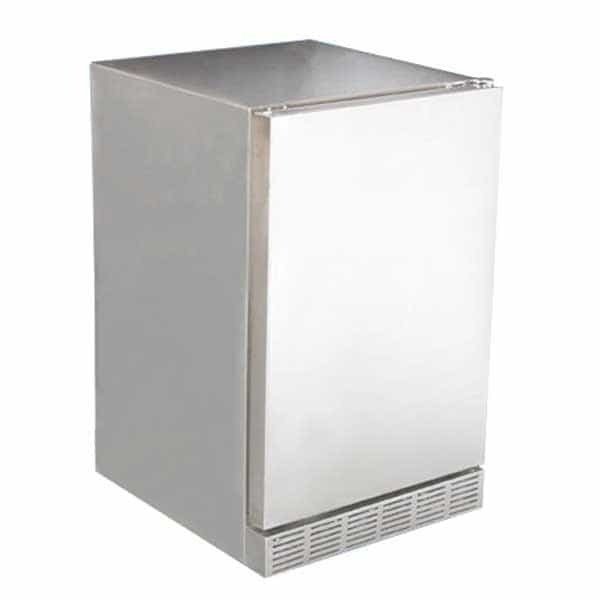 The Saber 4.1 Cu Ft Stainless Steel Refrigerator comes equipped with removable, adjustable shelves as well as adjustable controls.